Did you know Google manipulates your search results based on your personal data? Are you like most Americans who don’t realize Facebook owns WhatsApp and Google owns Waze? Your search queries, browsing history, and even GPS information is routinely harvested by companies providing you with all of those “free” services. “So what?” you might say. “I have nothing to hide.” The fact is, privacy is a fundamental right, and there are many perfectly legal and reasonable reasons why the “nothing to hide” argument is flawed. 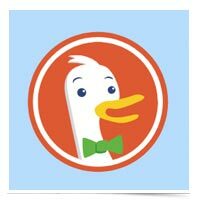 DuckDuckGo, the search engine founded on the belief that your searches shouldn’t be tracked, wants you to be able to take that level of protection on the road. That’s why they’ve recently released an app to extend privacy protections to your mobile device.